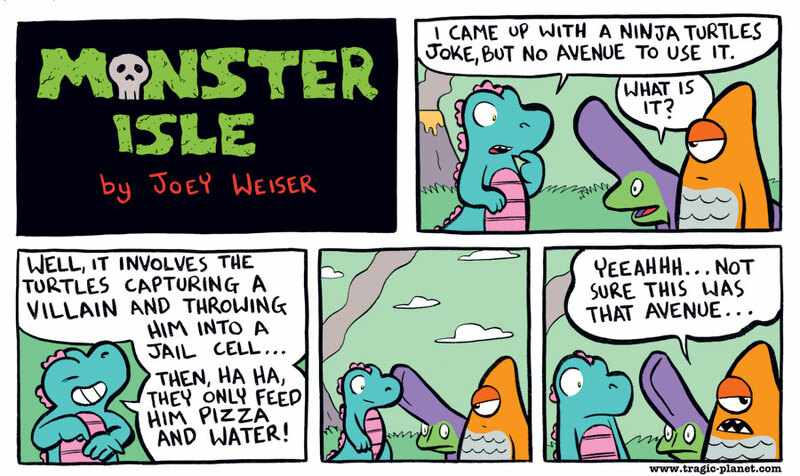 Hey, hey…its not like it would be the main punchline or anything…just one joke in the midst of a story! Give Gary a break! Anyway, as you may have noticed, the strip is a little larger this week. GreyWyvern (aka Brian) suggested I make the strip a bit bigger in last week’s comments section, and I thought it sounded like a nice idea. Kaiju are GIANT monsters after all, har har! Anyway, if anything, this is proof that your input and comments are welcome and appreciated. Any thoughts on the new format?